A local roofing company has stepped in to help after Pyramid Youth Club on Filton Avenue, already fighting for funds following the loss of their main grant from South Gloucestershire Council, were victims of crime following an attempt to steal lead from the roof of their building. The alarm was raised by a public spirited local resident on March 23 when he saw a male on the roof of the building trying to remove the lead flashing. The police attended promptly, and enquiries are continuing. Considerable damage had been caused to a gully where tiles had been removed and the lead flashing lifted. Club chairman Rick Bradford then discovered that their insurance policy, arranged nationally for clubs with a well known insurance company, had a clause which excludes theft unless there is ‘forcible or violent entry into or out of the building’. 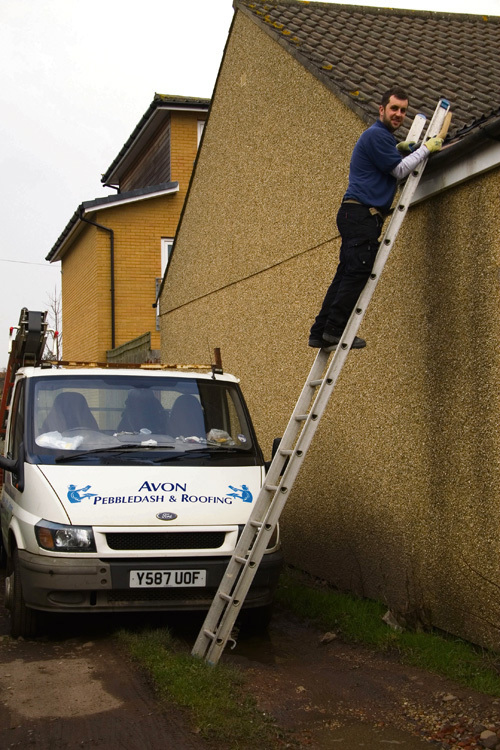 But when local builder Mike Daly of Avon Pebbledash and Roofing at Station Road, Filton, heard of the club’s plight, he stepped in to offer his services to carry out the necessary repairs for the cost of materials only. Mr Bradford said: "All at Pyramid are very grateful to Mike for doing this because without any insurance cover the true cost of the work would have been a major financial problem." He is also now taking up the insurance situation with the policy arrangers as obviously this could affect clubs all over the country.